In our line of business quality is the keyword for our customers. 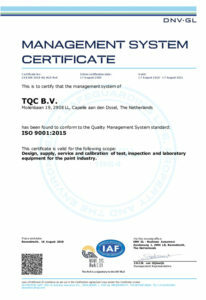 TQC BV is certified according the ISO 9001 standards by “Det Norske Veritas”. 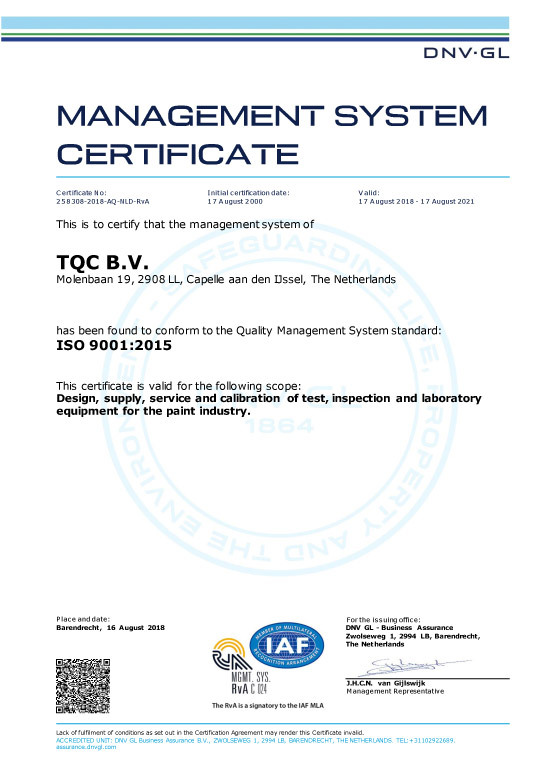 High quality products are supplied and maintained in the Dutch headquarters which follows well-structured procedures but always keeps the customers wishes in the first place!